No Holy Ship Ticket? Hit up the Preparty Watch Datsik Live NOW! Dada Land Is Back In Miami! 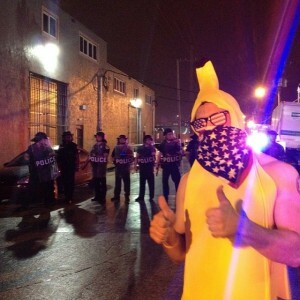 Lets Not Repeat Last Year…..
Dada Life just announced today that they are bring Dada Land Compound back to Miami. There was some speculation that they wouldn’t be back, especially after launching their tour lineup with only a stop in St. Petersburg. Although most of last years mayhem has been erased off social media by – what may be the best PR company in the business – but the story remains. If you don’t know what happened last year, see our guide on What went wrong.